Middletown, PA (November, 26th, 2018) – The Middletown Borough Police Department and Interim Chief Dennis Morris announced the launch of a new website that gives people who use social networks and mobile devices an easier, more effective way to help fight crime and stay informed. 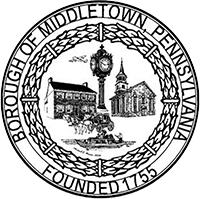 The new MiddletownBoroughPolice.com website was developed in partnership with CRIMEWATCH Pennsylvania and is part of the CRIMEWATCH Network (www.crimewatchpa.com). This online tool gives the public direct access to crime- and public safety-related information happening in their community. “This new website is the perfect entry point for establishing better police and public partnerships. Technology gives us the opportunity to communicate with the public and the anonymity of the tech avoids the potential risks of sharing information with the police…several police departments throughout the region are having great success using this technology, said Chief Morris. Middletown Borough Police Department is the 13th Dauphin County based police department to go live on the CRIMEWATCH Network; a communications platform developed specifically for Pennsylvania law enforcement agencies that allows for geographically targeted information sharing and intelligence gathering. Local residents are strongly encouraged to visit the web, connect police department social media sites, or download CRIMEWATCH Mobile from the Apple or Android App Store. Get connected with resources and services.